Good morning, Friends! Are you glad it's Friday? We sure are around here! Nick didn't have school today so we all got to sleep in and that was wonderful! Looks like it rained a bit last night. Nothing major planned today. I hope to get more stamping done and then some stitching tonight with friends! 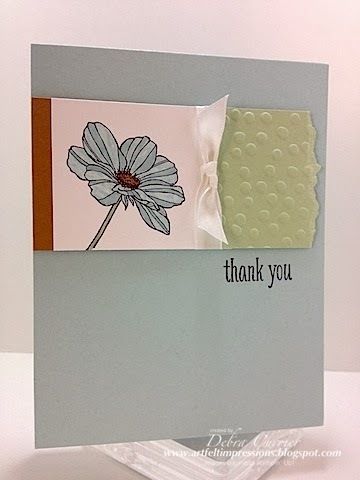 Love this layout for a simple thank you card. TFS Deb - enjoy your weekend.